I hadn’t expected the day to be quite so hard. That’s a harsh, abrupt statement, but it’s true. Mother’s Day, for us, isn’t normally quite so hard, at least I didn’t think so. Today, though, was a reminder just how wrong you can be. You can think things are moving along at one pace and realize…you’re not the one setting the pace for everyone. We all move at different speeds. We all grieve and recover at different speeds, too. 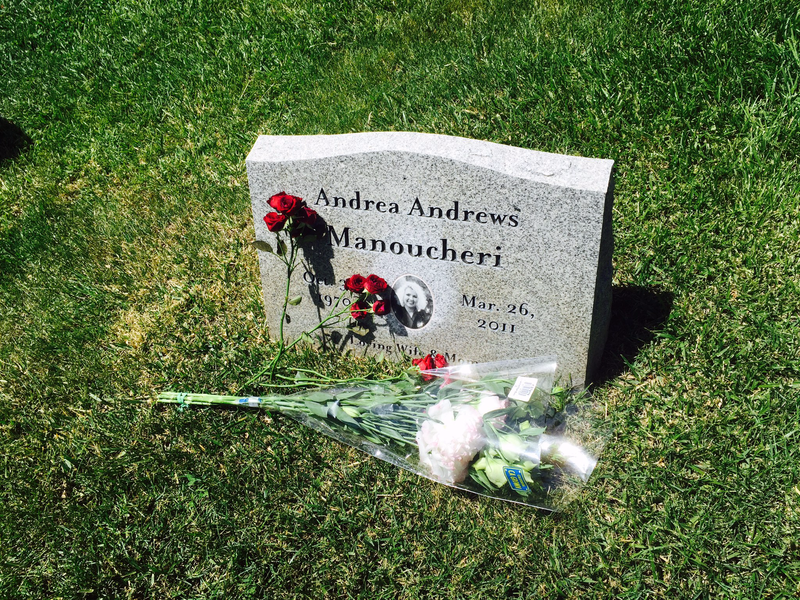 Since Andrea, my wife, passed away four years ago I have visited her at the cemetery. This isn’t for everyone, I know it, and I don’t pretend it should be. I know people in my own family and some in the kids’ extended family that refuse to ever go to the cemetery, it just has too many terrible memories for them. It’s been the habit over holidays, birthdays, and the most particular one, my anniversary…which is also the anniversary of her passing. It’s not an easy day, even this far into the story. Today was no different. It’s Mother’s Day. I can’t tell you what motivates me, maybe it’s just the love that will always be there, perhaps it’s routine or maybe it’s just respect. Maybe it’s something driven into me from years of studying history and respect for those who came before us but I always bring her flowers. My daughter asked me, “are you going to visit Mom today?” I wasn’t going to lie. There was a protracted silence. The day had a lot ahead of it. We had trips to the hardware store and my son had some money burning a hold in his pocket so we were at a videogame store, too. But we stopped and got flowers for Andrea. The kids had never asked to go with me before and I wasn’t going to force them to go. I just didn’t think it was right. 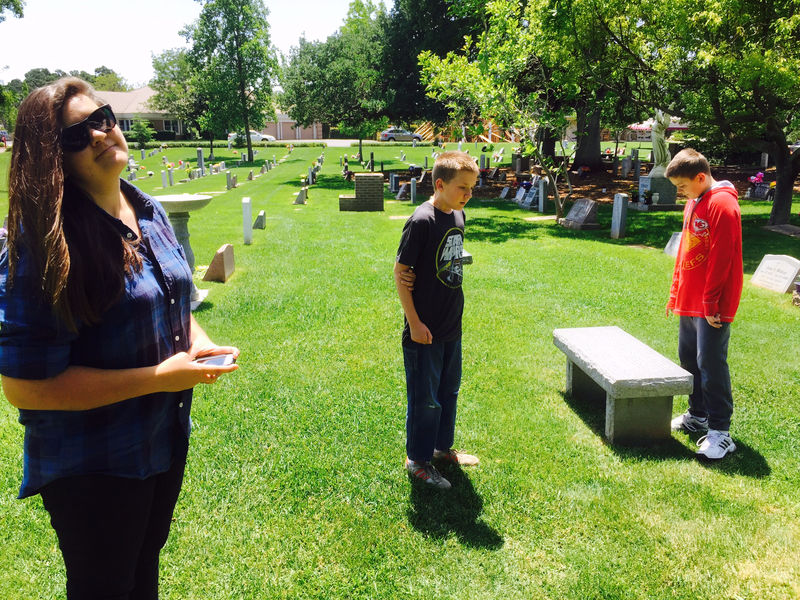 For them, in particular, their mom isn’t there in the ground. She is inside them. When they smile, when they sing – badly, in particular – when they dance in crazy fashion…their Mom is there. They said it would be okay so I assumed it would be okay. The boys split up the red roses, their Mom’s favorite – or maybe just the ones I always gave her, not sure which. My daughter put the mix in there, with some sterling silver ones…the same flower I wore during our wedding. I snapped a couple photos thinking I’d post here because they were so brave and so amazing to want to do this. But just seconds after I snapped this I noticed it. You might, too, the look on the middle boy’s face. This is the point right before the dam broke. I go here, I contend with the loss and I foist the routine each day and I’ve come to terms with this for the most part. I don’t have the moments where the loss still overwhelms me to that point. Sure, there are moments. When a woman at work leaves a trail of perfume that is the same scent Andrea wore, I’m thrown for a loop. When something comes from left field, like a line from a movie or a food or a picture you never remembered…that hits you. But the kids were not here. My son couldn’t take it any more. It is proof, yet again, that I may be observant but not observant enough. I saw the glass form on the bottom of his eyelid and then the gates burst forth. His sister grabbed him, more, I think, because she wanted to cry, too, and she didn’t want it to seem like she was. Comforting her brother was a good excuse. I kissed the top of his head, commenting that I got more of a mouthful of his sister’s hair than his scalp and he laughed. This is still fresh for them. For weeks society has told them to love and cherish and remember to tell their Mom that they love her on Mother’s Day. I think that was part of wanting to come to the cemetery…it just was hollow to know that they could say it…and while all their classmates and friends got tears of love and joy and soft hugs…they felt nothing but the breeze on their cheek up on the hill, underneath a crepe Myrtle tree. I was reminded that while I dealt with many of these issues, mine are different issues. I don’t have a wife, sure…they don’t have a Mom. We left…I took them home, we ate lunch…and I did the only thing that works: the routine. Stability. We ate, cleaned, folded laundry, and then went to the park after dinner. We tackled each other, played football, and then I had them up and in bed. I read a chapter from their current book and hugged them a little tighter tonight. We don’t ignore the day. They called their grandma and their aunt and celebrated like everyone else. I don’t regret going up to her grave, either. But I regret that I hadn’t noticed they need more time, if they are ever ready to come up there. 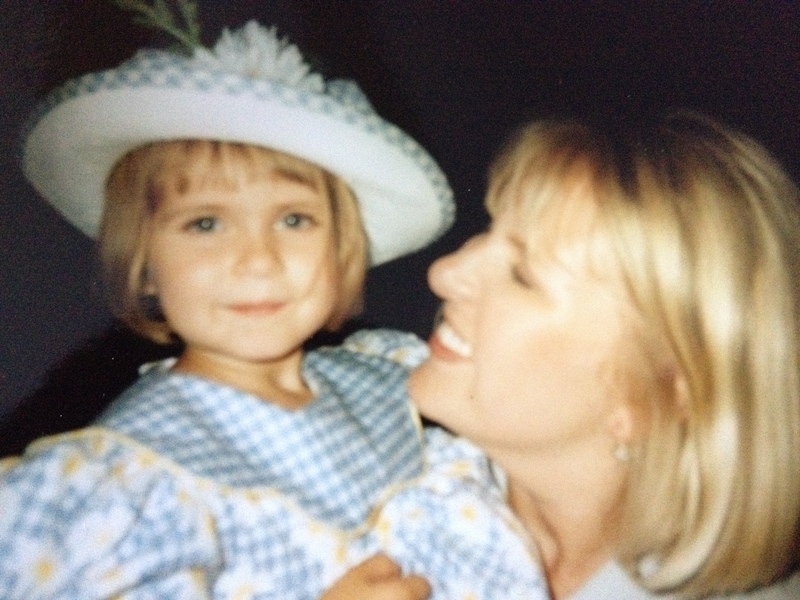 Days like this are when they miss her the most…it’s my job to know that. I didn’t handle that job so well today. But tomorrow…tomorrow we go at it again.